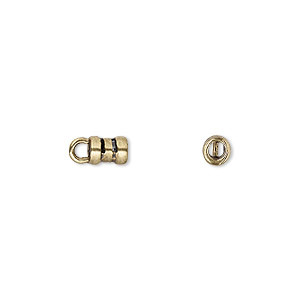 Crimp end, JBB Findings, copper-plated brass, 6x4mm tube with loop, 2.5mm inside diameter. Sold per pkg of 4. Item Number: H20-7273FY Have a question about this item? Ideal for use with cord or multiple-strands. 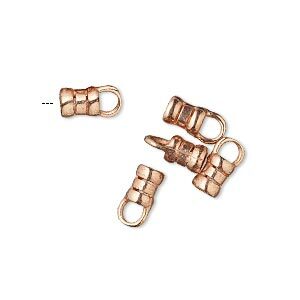 The best-selling crimp style in copper with an attached loop to connect a clasp or links. 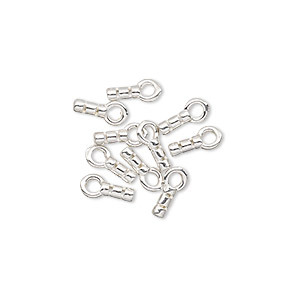 The crimps are heavily plated, highly polished and coated for tarnish-resistance and long-lasting color. A fashionable component to end your designs with its warm metal color. Size and design may vary slightly. 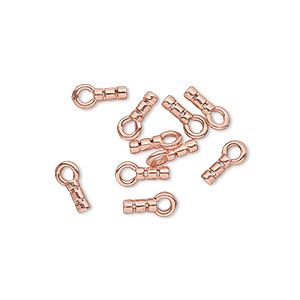 Crimp end, JBB Findings, copper-plated brass, 6x3.5mm tube with loop, 2mm inside diameter. Sold per pkg of 10. 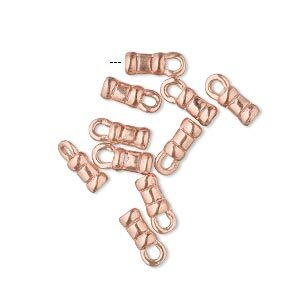 Crimp end, JBB Findings, copper-plated brass, 5x2mm tube with loop, 0.6mm inside diameter. Sold per pkg of 10. 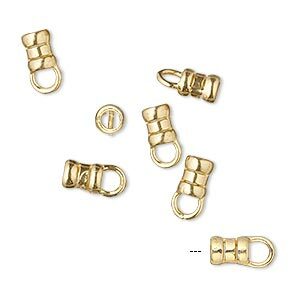 Crimp end, JBB Findings, brass, 6x4mm tube with loop, 2.5mm inside diameter. Sold per pkg of 4. 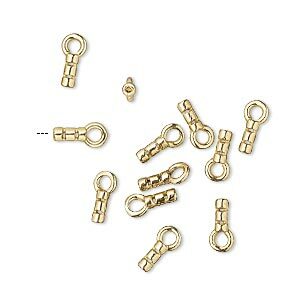 Crimp end, JBB Findings, brass, 6x3.5mm tube with loop, 2mm inside diameter. Sold per pkg of 10. 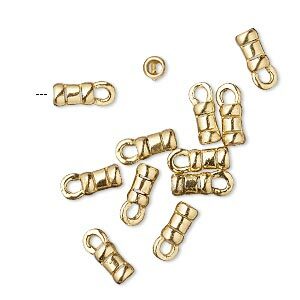 Crimp end, JBB Findings, brass, 5x2mm tube with loop, 0.6mm inside diameter. Sold per pkg of 10. 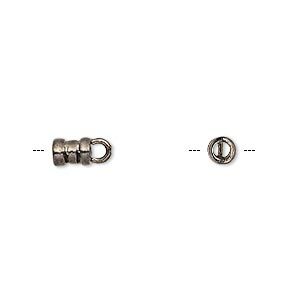 Crimp end, antiqued brass, 6.5x4mm tube with loop, 2.5mm inside diameter. Sold per pkg of 2. Crimp end, antique silver-plated brass, 6.5x4mm tube with loop, 2.5mm inside diameter. Sold per pkg of 2.